Browse black-cardamom suppliers by country and region. Short on time? Let black-cardamom sellers contact you. 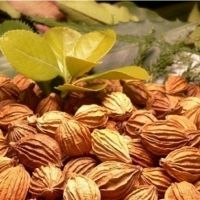 The company is counted amidst the prominent Green Cardamom Exporters and Suppliers based in India. The Green Cardamom, offered by us, is known for its superb quality and exotic taste. The Green Cardamom is used in savories, sweets, beverages, etc. The Green Cardamom is also used in medicines to treat infections of gums and teeth, indigestion, etc. Nepal is one of the largest growers of black cardamom. Native to sub-Himalayan region, black cardamom is the dried fruit of a perennial herbaceous plant of the ginger family. Apart from its usage in India, Nepal and other Asian countries, black cardamom is not very common. Some people describe black cardamom as an inferior substitute to green cardamom, but it is considered a valuable spice in Nepal. When cooked with this spice, it enhances and intensifies the taste of food without overpowering a dish. It is one of the ingredients used to make Nepali Garam Masala spice blends, and is also used in meat curries, rice dishes and pickles. It is available in Indian and Nepali food stores. Look for pods with moist, sweet seeds, and smoky fragrance. Our Black Cardamom is acclaimed for adding a great flavor to the food and is also known as a cure for respiratory problems. In order to deliver consistent quality products, we keep our vigil eyes on product development, storage and final dispatch. The offered array of products is examined on the basis of quality of raw material and other inputs used for the manufacturing. Rest assured us for the raw material used, as we have most updated technologies to examine the quality. With the aid of a diligent team of professionals and modern packaging facility, we can guarantee safe and secure deliveries. Also, we make sure that only high-quality packaging material is used for the same. We are supported by such storage facility that provides protection from diverse damaging factors such as dust, moisture, rain, sunlight, etc. Also, we maintain complete hygiene inside the unit. The Cardamoms, offered by us, are known for their quality as well as their aroma. Indian fresh fruits, vegetables, spices, pulses, legumes, rice, black pepper, cardamom, coriander seeds, sesame seeds, red chillies dry, chana dal, foxtail millet, green mung, kodo millets, pearl millet, rice, toor dal and mangoes. Cardamom: Cardamom, also known as Cardamom, is a small spindle shaped seedpod with black seeds inside. The covers are thin and pale green (Elettaria) or dark brown (Amomum). It is the third on the list of the world’s most expensive spices, right behind vanilla and saffron. Cardamom is used as a cooking spice as well as flavoring (mainly for tea and coffee).